If you have read Turf Wars, Part 1 and want to speculate on what happens next in Parts 2 & 3 with fellow fans, you can do so here. As usual, all forum rules apply. No idea if this is also relevant for part 2 or 3, but it part 1 at least we can play a little game of where’s Waldo with the new named extra, Jargala. We also have some development sketches for the covers. She pops up in the first fight scene between the triads. She's a member of the Creeping Crystals, if I remember correctly? Interesting that Koh was originally going to draw the covers, until they got Heather Campbell to do it. Maybe they wanted something that looked closer to the show for the cover? Not really a fan of that Part 3 cover. I thought the first two were better, but on this one some of the faces look a bit wonky? (Mako especially.) Also this is nitpicking, but I think Asami's eyes are the wrong colour? Yes! She looks weirdly like Azula there. ...Plot twist? I am also not a big fan for the cover art for the 3rd one. 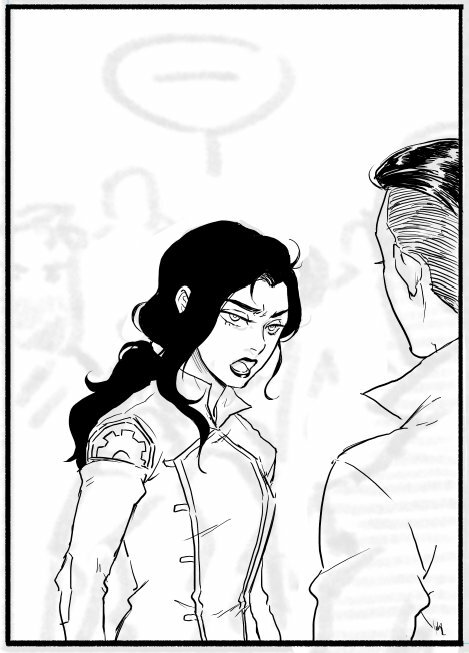 Asami does kind of look like Azula there. And is it just me or does Mako look like Avatar Wan there? Mako looks awful in the third cover. but they can simply be early drafts so you never know. Wow, Amazon needs to sorely update their "Preview" system if the pages are random. I can't imagine how many books have been spoiled as a result. Yeah, an algorithm that limits things to the first 30% of pages should be easy to code. Or give publishers the option to limit things to one of a set of percentages (25, 50, 75, 100), or even type in their own (I would specify 37% of any book I publish). But Amazon doesn't need to care, so they won't ever care. That's the benefit of being the biggest. Everyone else just has to get out of their way or get run over. 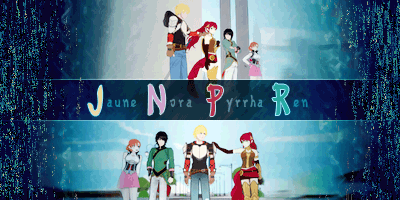 Oh and actually show Jinora being a master who doesn't need help taking out random mooks. Maybe if he just stand side-way, where the spirits can only see his mutated face, he has a chance of convincing them. Also, why are spirits always so douchy ? They keep being like "respect us ningens" but when something bad happens, they're like "TO THE HILLS"
That might not be necessary lmao. Painted Lady, Iroh and Hundun are just as much spirit as the pokemon esque spirits. So with half his face being lizardy he can sell it even more along with receiving +3 intimidation points for each mortal he fools. It will be released on the 13th of June 2018. Written by series co-creator Michael Dante DiMartino and drawn by Irene Koh (Teenage Mutant Ninja Turtles, Afrina and the Glass Coffin), with consultation by Bryan Konietzko, this is the official continuation of the beloved television series! Now this actually sound rather interesting. Apparently general Iroh is in this comic series too. Tokuga, probably from part 1. Tokuga talking to Korra, complete with already dated joke. Korra with a glider, and what looks like some unusual clothes. A nice view of Republic City and Yue bay. Rough color of Korra, Bolin and Mako driving. 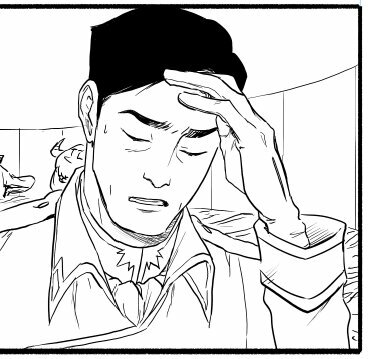 Asami considerably less happy about something. And a suspiciously familiar face. Koh wants to influence the vote in her favour wants us to know that Turf Was is among the Goodreads choices for best graphic novel. Also, while not directly about the comic, she seems to be almost done with illustrating the book. The picture of Tenzin talking to Meelo: Meelo reminds me of Eren from Attack on Titan. Must be the eyes. 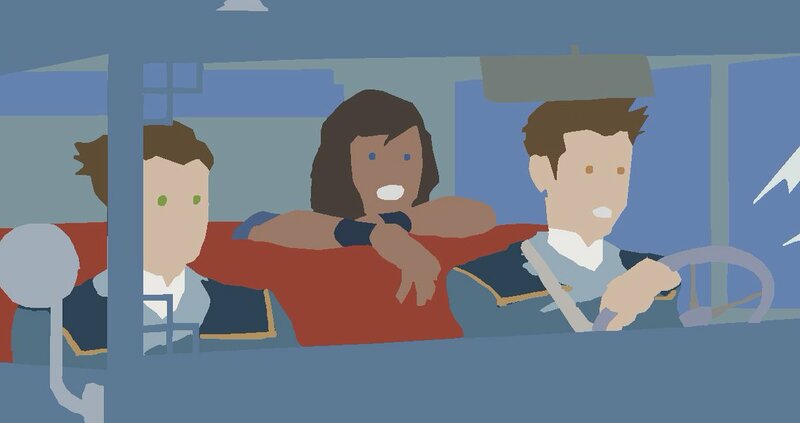 And once again, Mako is the one driving despite having a bad arm. That really makes me wonder how bad Bolin is at driving (we already saw Korra drive in Book 3). The results are out, and Turf Wars came 13th. I'm mostly surprised it managed to come ahead of The Vision (which got rave reviews), though it has the advantage of being a TV show sequel I guess. So Asami gets kidnapped, eh? The whole bit about trusting each other sounds like the kind of thing you'd write if these were two characters who were normally enemies lol. Oddly enough I have also seen something about there being additional preview pages, as much as 15, from Amazon, but I only get about 6 full comic pages and 6 other pages like front and back and other non-story pages when I look on their website. Is this like a Prime thing, or is it just Amazon giving different people different previews for no apparent reason again? ^ The US link has more preview pages. Odd, I just get the same previews on both pages, but then again, I’m not actually in the United States. But I’ll take your word for it, and assume that it’s just Amazon the doing different previews again. By the way, are the previews that you get among this? Yep, those are all the pages I saw available for the preview in the US version.